This has been and always will be one of my favorite artworks, hands down. 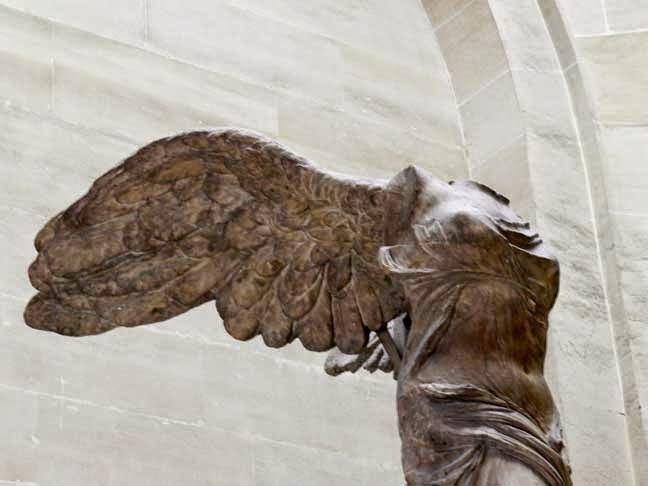 The Nike of Samothrace, on display at the Louvre since it's unearthing in 1863, is believed to have been carved in the 2nd century BC. 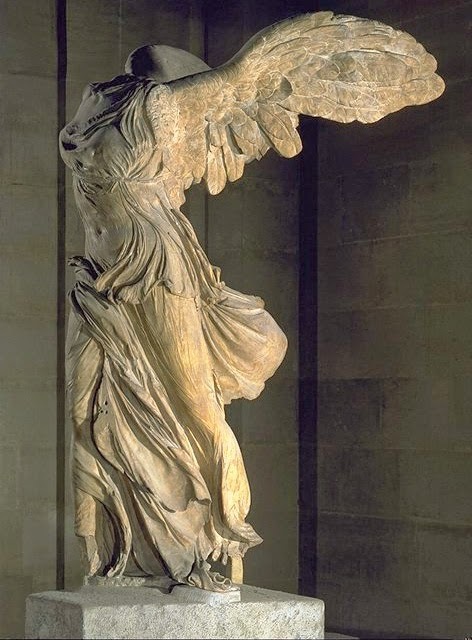 An absolutely breath-taking example of the fluidity and motion of the human form that is the hallmark of Hellenstic Greek sculpture. Carved entirely from marble, it weighs over 30 tons. It sits at the top of the Daru staircase. The statue has just this summer undergone a major one million pound conservation restoration and is back on display. 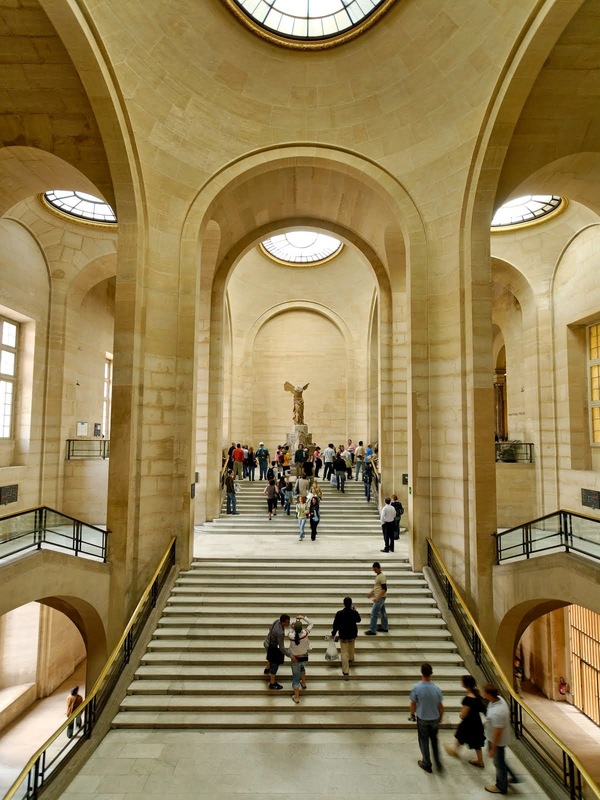 For tons more information on the history of the Winged Victory and her conservation, visit the official Louvre website.